Many academics are critical of ethical consumerism. While they may seem high-minded in their views, the critiques sometimes have valuable lessons. While traditional crafts have an enthusiastic core audience, there are many others who are sceptical. Understanding the critique can help broaden the reach of traditional crafts. The Canadian sociologist, Dia de Costa, recently published an article with the curious title, ‘Sentimental Capitalism in Contemporary India: Art, Heritage, and Development in Ahmedabad, Gujarat.’ ‘Sentimental capitalism’ sounds like an oxymoron, as the idea of capitalism is to put profits before people. 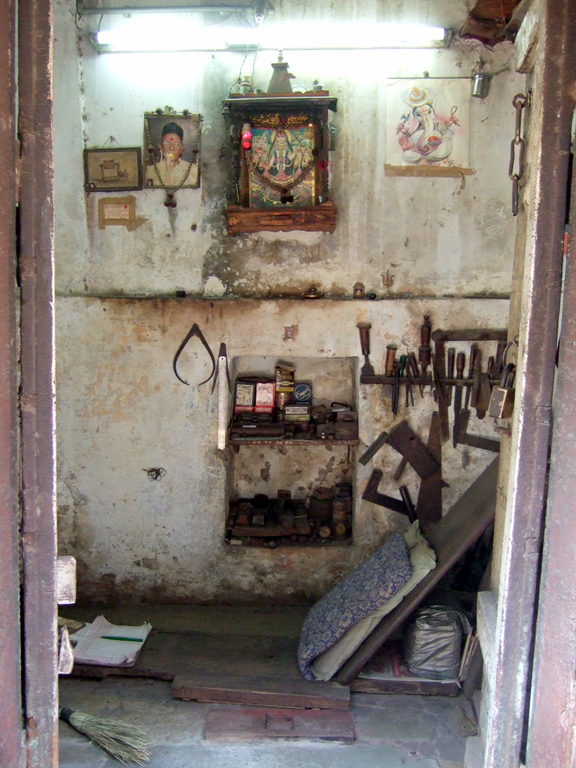 But de Costa uses the term to describe a creative industry in Ahmedabad that has grown around the celebration of entrepreneurship in traditional cultures, including crafts. She contrasts this with the previous form of ‘sentimental development nationalism’ associated with Gandhi, which saw artisans as victims that needed rescuing. De Costa’s critique draws on the literature about the plight of industrial textile workers in Ahmedabad, such as Jan Breman’s The Making and Unmaking of an Industrial Working Class: Sliding Down the Labour Hierarchy in Ahmedabad (2004). She argues that ‘sentimental capitalism’ paints a happy face on the otherwise tragic loss of employment experienced by local workers. The article is a little thin on detail and lacks compelling case studies, but it is an argument worthwhile considering. It follows many critiques of ethical brands such as Fair Trade which are seen to be papering over the true realities of inequity. According to a Marxist analysis, creating a theatre of feel-good helps resolve the contradiction between global inequity and the middle class belief in equality of peoples. The academic perspective is very good at identifying these contradictions, but it is left to others to do something about it. One response is obviously to abandon ethical consumption. This is the Leninist line that it is better to wait for the revolution than tinker with reform. But in the short-term at least, this will involve the loss of livelihoods as well as a decline in cultural diversity. An alternative is to retain awareness of structural inequity while still pursuing micro-projects that offer immediate financial benefit and cultural sustainability. This critical awareness helps temper any missionary certainty that seeks to impose one set of values on the subject of concern. Saving someone else’s culture should be something done in consultation with the other, lest what’s preserved is an unwanted form of oppression. This awareness can be exercised by looking backstage. It is not enough to enjoy the theatre of traditional crafts, it is important to broader context in the lives of those who perform it. The Sangam Project is hopefully one place where we can look behind the scenes. Wonderful piece. Reverberates with a questions I grapple with in my work with artisans every day. While our current fair trade and similar sourcing models are a step forward, they often treat the artisans like victims and/or “suppliers”. I’ve been considering alternatives that are artisan first, that are ground up and not top down, but wonder about the “market feasibility”…. yes good way of putting it…..but what to do? it is an up hill climb trying to engage our artisans/ employees in the business that employs them; care of things necessary to keep a business ticking over like quality, timeliness, repeatability….this is making me think. Where are we coming from? we are a business, we aim to employ fairly as many as we can….we are not saving cultural heritage but we are employing techniques and materials that have a huge cultural heritage…we struggle to work with our associates/ suppliers/ employees in a way where we are fair to them and they are fair to us. trying to pay village women the basic wage as a starting point is close to twice what they could possibly earn locally and often I think they think we are crazy…we have real teething problems often. getting the idea of fair work being expected in return….in a business / money world we have to run a business not offer charity….I look at it and wonder what will happen if the world becomes more fair….as an artisan from the developed world not many people could or would pay me a liveable wage if I was producing there…..what happens here as standards of living increase….work will drop off? I’ll send you a link Vivek. Anyone else can message me if they are interested to the full version. bit of a ramble but this brings up so many questions I worry over…. Me too, Fiona. I think some academics judge what we do by an ideal of absolute global equality. I’m more interested in what makes things better, rather than waiting for the best. Yet, I think sometimes that we need to occasionally look ahead to ‘best’ as a horizon to guide our journey, even if it seems desperately far away. thank you Kevin Murray that question really caught me. I look at what we pay somedays- like I said it is fair pay and yet I look at it and realise it is still so little for 2/3 of the world….equality would actually imply fat cat developed world could live a little more sensibly and the developing world could get enough to live a little longer and easier…. any way back to stitching…we have an order to complete and two women away on honeymoons so I am doing double duty today and stitching as well….got to work hard for a few dollars a day here! Yes I agree Vivek. ..it is hard enough to pay the legal minimum wage and develop skills and quality so that the women feel they have earned it and that it not that we are silly and too generous. As a business we are starting a mobile community library…idea to link with schools in our area. This will indirectly assist those we work with. As the entrepreneur it is a good work/ business most days just the occasional craziness of sorting out attitudes. I am posting my comments on encouragement from Kevin Murray. Thank you Kevin for engaging with my work. I appreciate the comments you make. My research is typically on performing arts, activist performance rather than craft and artisans, and I am in the process of writing a book that develops these ideas further. I hope you will have a chance to read that in case you find some more substantiation and examples of my argument about the significance of sentiment to the workings of capitalism. Let me begin by saying that I try not to believe that (in this case) curators, artisans, artisanal business people or designers etc. have no idea about or interest in theory, or in academic scholarship. likewise, I don’t think that academics necessarily prefer to stay in the secure world of identifying contradictions without facing the task of what it means to do something about it. so perhaps the binary you present of academics and the rest is not always helpful. i very much appreciate that you reached out to seek my perspective and i hope you will take my response in that spirit of a conversation. 1) For exciting initiatives like the Cotton Exchange Exhibition (see the article for details on that) and the consultants, designers, artisans, artists involved in it, they could take context into account more thoroughly. They could be reflexive about their own nostalgia and optimism. They could take stock of the city they seek to represent as it exists *in the present*, rather than solely construct it as valuable when seen as heritage. These are entirely plausible and available options which can construct a political aesthetics that is accountable to history and inequality rather than evasive of it. Moreover, speaking of heritage, since they are not the first ones to arrive on the scene with a zeal to save someone’s culture, they might also take stock of the well-worn path they are walking. There is no reform vs revolution dichotomy or conundrum here, just a simple step of paying basic attention to the history and politics of that which one seeks to represent. 2) For designers who seek inspiration and ideas from places like India (and I include designers from cities like Delhi, Mumbai etc. here) who believe in the value of cross-fertilization as a source of creativity they might consider the global, national, and local power relations that enable some to source ideas and some to be the source of ideas. What are the implications of such inequality for uneven positions in a global creative economy? 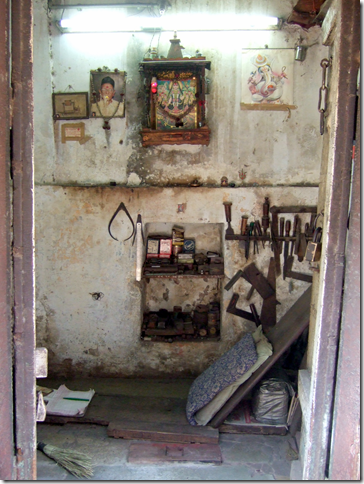 Who gets to source from where and could the underprivileged artisan from India reciprocate? That is, could such a person go to metropolitan centres of design in the global North or even to Delhi and Mumbai, source what they want and call that process their own creativity while also representing it as saving the diversity, talent and culture of the global north? Could they represent their innovation as saving Delhi’s culture and heritage? The indirect implication of a critique of a creative exchange project such as cotton exchange project is that we need to ask these kinds of question notwithstanding the equally painful reality of precarious livelihoods and poorly paid jobs in the creative sector in the global north or in metropolitan centres in india. What emotions and sentiments other than nostalgia and optimism might come up when we ask these other kinds of questions? And would such sentiments fit as neatly with the kind of development and creative economy initiatives that are associated with Modi’s Gujarat or an unequal global and Indian economy? 3) Can we refuse sentiment when it serves as a balm on class/ethnic/xyz guilt (which one can only do when we recognize its work in our lives and livelihoods) and choose instead to recognize the structural inequalities at work, as Kevin notes in his piece, and ‘look backstage’ as he puts it. And for me, ‘looking backstage’ involves refusing to see all artisans as the same, consider the inequalities among them, consider the vast millions in the putting-out system compared with the few who are able to gain more directly from circuits of global design. Consider also the long centuries of precarity that some have lived with compared with the more recent experiences of precarity for others. and so on. i hope this brief list of how one might act in practice considering my academic critique strikes you as plausible options, even if some are in the form of questions rather than directives. i am not in the business of telling people how they should change the world or their actions. i believe that would be a bit like fascism. but i do believe that we can represent the complexity of our world better, and that we can ask better questions about our world, so that our struggle with change is a bit more attentive to its complexity. thank you for engaging with a part of that process with me. Whenever I have been backstage of the theater of traditional craft there are very few illusions or contradictions. Just livelihoods either thriving, humming along or in the balance.